Heritage House,1909 Church St. in Rahway. Marcus & Millichap announced the sale of Heritage House, a 21-unit apartment property located at 1909 Church St. in Rahway for $2,400,000, according to Brian Hosey, regional manager of the firm’s New Jersey office. Fahri Ozturk, Richard Gatto and Thomas Cleary, investment sale specialists in Marcus & Millichap’s New Jersey office, exclusively represented the seller and buyer, both private investors. “The asset was an extremely attractive value add opportunity for the investor, as the sellers owned the property for 30 years and maintained it very well,” Richard Gatto reflected on the deal. 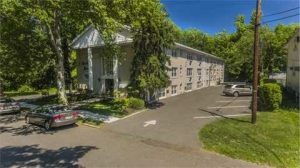 The apartment building is located approximately one mile from the Rahway Train Station and two miles from the Linden Train Station. Additionally, the property is minutes from Garden State Parkway, I-78, Route 1&9 and more. Heritage House is located 22 miles from New York City, 19 miles from Newark Airport, and 5 miles west of Staten Island. The property is 1 mile from the Robert Wood Johnson University Hospital.